There is a saying in marketing – ‘shrink it and pink it’ – referring to the cookie cutter way some mass brands have historically ‘marketed to women’ with their consumer goods. (See the notorious Bic Pen For Her). We have moved on from all baby girls being dressed in pink, boys in blue, upon their entry into the world. And there is even a sense of judgement that exists amongst the parent set today if you dress your child in an abundance of gender-typical colours. How did a colour, come to be associated with so many complex themes, beyond simply being a bright, happy hue to look at? As I assessed the Instinct visual branding (in the traditional sense; the logo and the colours) that my father chose back in 2012 when Instinct was founded, an internal debate arose in me. While the Instinct Brand isn’t the logo, or the colours, it does make up a part of who we are, and how we are perceived. I wanted to evolve the look and feel of the branding much like I’m evolving the offering with my unique background. I debated evolving the dot in the overturned ‘i’ (overturned to represent the fact you instinctively know some things are right and wrong) from black to hot pink. In today’s #MeToo era, what does this say about my Brand? Does it mean I will only attract clients that want their Brand coated in a pink layer of language and storytelling – clients who want to ‘shrink it and pink it’? Does it mean I’m throwing away everything my father built in terms of serious B2B, corporate clients? Can I have pink and have a serious Brand? (A similar debate I had with my husband while naming our daughter – can she have this name and be a future CEO?). 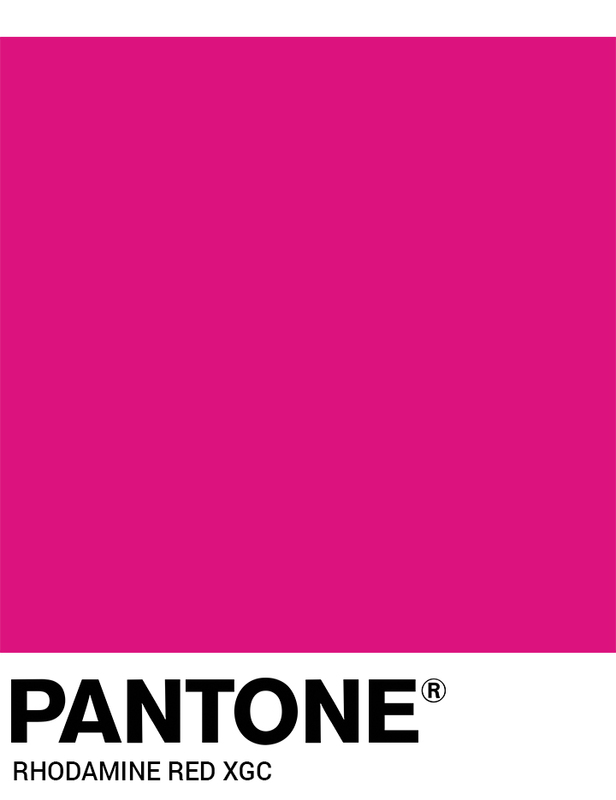 I decided that in this #MeToo era, the only way stereotypes are going to be broken and the underlying bias smashed that being female in the corporate world is a weakness, is to proudly change that dot to hot pink. I love pink. I’m a woman, and I love pink. I love the contrast with the black and white of the Instinct colours, and I love what it says about me. It says I‘m bringing my female lens to the world and this is the new evolution of the Instinct Brand. This doesn’t mean I’m taking away from all that my father has built with serious corporate clients in the commercial property space, financial services space or traditionally male categories such as beer. It simply means, my traits as a woman offer a unique spin on what Instinct has long offered bringing clarity to Brands, and this should be celebrated. We are equal as men and women, but we are different, and I’m proudly showcasing this difference in the form of my very own pink dot. But I won’t be using a pink pen ‘designed to fit in a woman’s hand’ to helm Instinct. I’m all for ‘pinkification’ when it means something positive and empowering; call it my own mission to Save Pink from the old school perception it has no place in the corporate world.